Can you handle stressful situations? Ballistic experts are responsible for the processing of crime scenes for ballistic related evidence; examining firearms and tool marks. 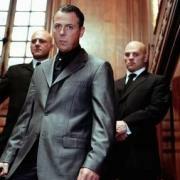 A Bodyguard (Close Protection Officer) is a specialised security man or woman who protects a person/s. 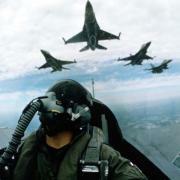 People who need protection – usually include celebrities, wealthy or politically important figures. 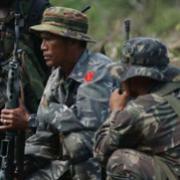 Naval Combat Operators are responsible for executing the Navy’s main function – maritime warfare. 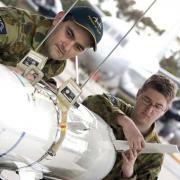 Naturally they are highly-motivated, well-trained leaders with the necessary expertise in putting complex computerised weaponry to effective use. A Commissioned Police Officer is a senior position and they are in charge of the management and support of running a police force in a designated area. 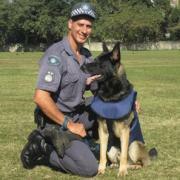 A Dog Handler is a trained police officer who together with their dog, help to prevent and investigate crimes. An Emergency Service and Rescue Official is responsible for keeping risk to community down and to monitor the safe working conditions of emergency personnel. 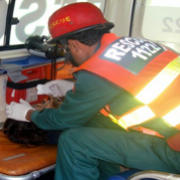 Emergency Service and Rescue Officials are either qualified as Fire Fighters, Ambulance Officers, Intensive Care Ambulance Paramedics andAmbulance Paramedics. Do you like danger and adventure? Are you brave and responsible? Can you handle stressful situations? 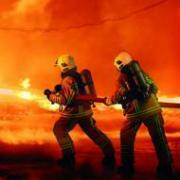 If you said YES, YES, YES – then becoming a Fire Fighter may be the job you’re looking for! The Flying Squad Official provides a quick response to priority, serious and violent crimes in progress in an attempt to apprehend the suspect and to limit possible further danger to the victim. 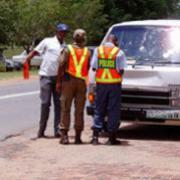 An Identikit Artist works at Facial Identification Sections of the SAPS. 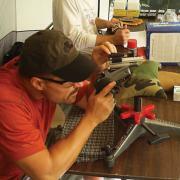 They help draw up faces from verbal descriptions so that missing persons or criminals can be found. 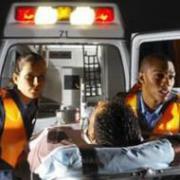 What is an Intensive Care Ambulance Paramedic? An Intensive Care Ambulance Paramedic is responsible for giving victims or patients the pre-hospital care they need before they get transported to the hospital. 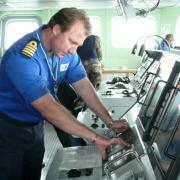 The SA Navy offers adventurous young people excellent training and a life of challenge and excitement as a Navy Dver. You should be a strong swimmer and not suffer from claustrophobia or a fear of heights. Paramedics are in demand! Thousands of lives are saved by Paramedics every year! 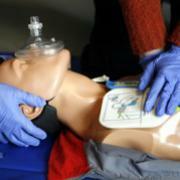 A qualified Paramedic is the person who gives pre-hospital emergency medical (life support) care to patients. 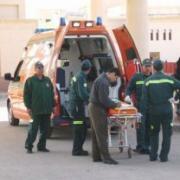 They are usually the first ‘medical’ person to arrive at an emergency situation like an accident, fire, terrorist attack etc. 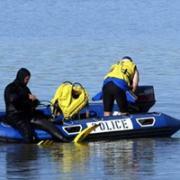 A Police Diver helps law enforcement by diving for bodies and to retrieve criminal evidence. 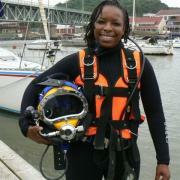 They usually dive in dams, rivers and the sea. 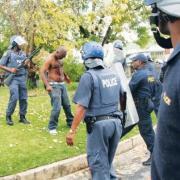 A police officer is responsible for creating a safe and secure environment for all people in South Africa. 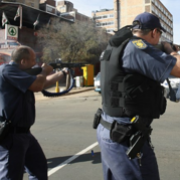 As a member of the South African Police Service [SAPS] the police officer is directly involved in preventing, dealing with and investigating crime. 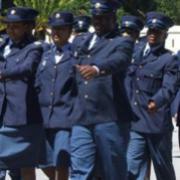 A Police Psychologists in the SAPS provide psychological assistance to personnel of the South African Police Service. They conduct workshops, do trauma debriefing and render counselling and psychotherapy. If you can speak and read different languages well, you may consider becoming a Police Translator. 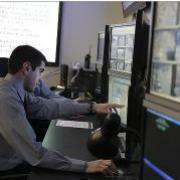 Police Translators help police and other people in law enforcement by translating from one language to another. 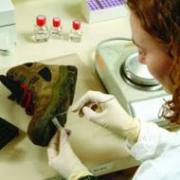 The Scientific Analyst (Electronics) performs forensic investigations of exhibits in criminal cases. 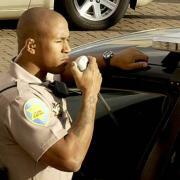 A Security Officer makes sure that industrial, residential or commercial property, railways, stations and other facilities are safe at all times. A Soldier in the SA National Defence Force can follow a career in a number of fields: Foot Soldier, Engineering, Ammunitions, HR, Catering, Intelligence, and many more. 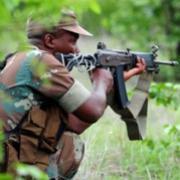 You can enter the army with a matric / or with a diploma or degree. You can serve your country AND do what you love doing! 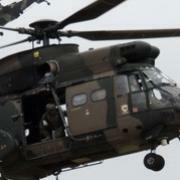 A Special Forces Manager is a highly trained and qualified member of the SANDF. They are responsible for the management of the special forces operations which includes training, preparation and monitoring military operations. 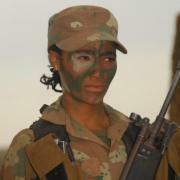 A Special Forces Operator works in the SA defence force (SANDF). A Special Forces Officer is a ‘special’ soldier that has extreme training and skills and assists the regular forces during war and peace time. 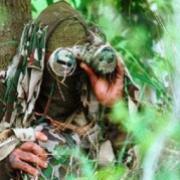 A Special Forces Operator works in the SA defence force. They use specialised tactics and techniques to win wars and maintain peace.